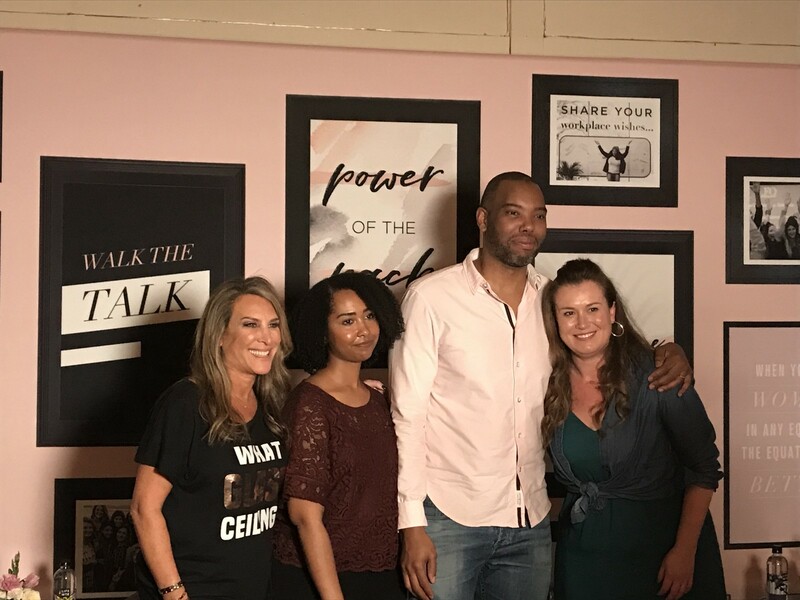 Data Scientist, Ines Marusic, joined a panel at The Female Quotient’s Girls Lounge to discuss how Artificial Intelligence (AI) is changing the game as well as perceptions of women in STEM. Here Ines expands on her views on this important topic. Over the last decade or two, AI has gone from a niche academic discipline to a leading technology of our time. One of the major gender concerns about AI is that it will simply replicate (if not amplify) the biased and stereotyped modes of thinking that are pervasive in society. This raises an important ethical question — how do we create AI that represents the kind of thinking for the world we want to live in — and perhaps not merely reflect the “lowest common denominator” of beliefs and mindsets on gender issues that unfortunately exists today? The advances in AI in the past few years have enabled us to automate decisions and processes across many specific tasks that were previously assumed to require human judgment and experience. AI is increasingly being used to take decisions that can severely affect people’s lives, for example, in education, hiring, lending, and criminal risk assessment. For instance, computers are already being used to make predictions in job candidate screening, issuing insurance or making loan approvals. However, very often the training data contains biases that exists in our society. This bias can be absorbed or even amplified by the systems, leading to decisions that are unfair with respect to gender or other sensitive attributes (e.g. race). 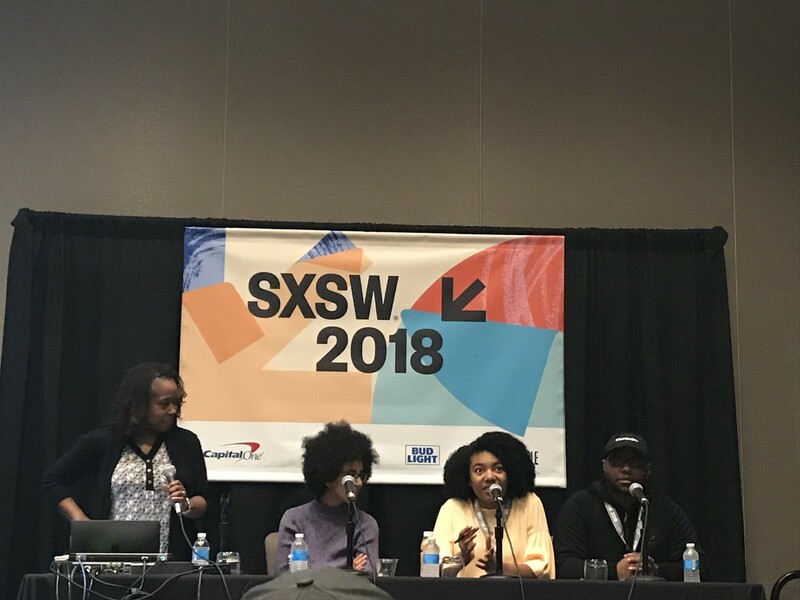 The topic of fairness was discussed at SXSW, for instance at the excellent panel on Hacking the Racial Bias in Artificial Intelligence by Timnit Gebru of Microsoft Research, Ayanna Howard of Georgia Tech / Zyrobotics, Jeff Nelson of Cinchapi and Princess Sampson of Kingonomics. You can view our highlights from the session here. The panel at Hacking Racial Bias in Artificial Intelligence. The machine learning research community has recently started to address the issue of fairness through a variety of ways. One simple approach is to ignore the sensitive attribute, which often does not result in a fair procedure as the sensitive variable might be correlated with some other variables. More recently, a causal definition of fairness was proposed by Kusner et al. (2017), called counterfactual fairness, which states that a decision is fair toward an individual if it coincides with the one that would have been taken in a counterfactual world in which the sensitive attribute were different (e.g. decision made if a job applicant were a man instead of a woman with all other features being the same). Last month, a novel fairness definition was proposed by Chiappa and Gillam (2018) called path-specific counterfactual fairness, which states that a decision is fair toward an individual if it coincides with the one that would have been taken in a counterfactual world in which the sensitive attribute along the ‘unfair’ pathways were different. Research in algorithmic fairness is in many ways still in its infancy, but the hope is that it will help combat gender, racial and other forms of bias made by algorithms that make decisions. An AI development that could improve women’s lives is automation around routine household tasks. Based on an analysis by the McKinsey Global Institute and the Organisation for Economic Co-operation, women do 3x the share of unpaid work as men globally, and 60 percent of that work is routine household work such as cleaning, collecting water and firewood. Time spent in unpaid care work has a strong negative correlation with labour-force participation rates, and the unequal sharing of household responsibilities is a significant barrier to enhancing the role of women in the world economy. If we were able to use AI to automate some of these activities, these routine tasks could be simplified or eliminated. Tools such as washing machines and kitchen appliances simplified a lot of household work in both higher- income countries and emerging economies. Innovations such as home-cleaning robots may one day make a leap forward in automating or streamlining many more tasks. The time saved by automating these activities could allow these women to have time for a paid job or further education — which may bring economic prosperity to their families and enable them to be financially independent. What’s more, research has shown that there may be intergenerational benefits for the children of earning mothers. Sadly, only about 13.5% of those working in AI are women. Despite their low numbers, female engineers and scientists working in AI are changing the world around us and our future as AI which is one the most transformative technologies of this century. Specifically, at QuantumBlack, we are helping bring life-saving drugs to market quicker, prevent financial frauds, and helping some of the world’s leading sports teams stay at the top of their game. Having more women in AI could help combat the gender bias in the training sets, could help design AI tools that address solution spaces relevant for women, and more generally would help insure we create an AI that represents the kind of world we want to live in. Despite its name, artificial intelligence is a technology designed by people and intended to be used by people. As such it is very reflective of its creators. It is important that the demographics of AI creators reflects the demographics of the people using this technology — which, ultimately, is the demographics of the world. At McKinsey & Company, we seek to advance and promote a diverse workplace in our own Firm, in our clients, and in society more broadly, where women have equal opportunities. This objective drives our commitment to leading cutting-edge research around how to meaningfully advance equality for women in the workplace. Since 2015, we have partnered with LeanIn.Org on an annual Women in the Workplace study. Moreover, since 2007, McKinsey’s ‘Women Matter’ research has explored the role women play in the global workplace, their experiences and impact in senior-executive roles, and the performance benefits that companies gain from having more women at the top. We are proud of the impact this research has had across the corporate world, and it is a widely quoted reference for status of women in the workplace. We also use findings of that research ourselves to help drive us forward towards equality, and these findings are built into our values. Indeed, guided by this research, we have taken various steps to help attract and retain women, from basics such as flexible working to a global sponsorship initiative and training programs in unconscious bias and Inclusive leadership. Another important piece is having access to mentors. 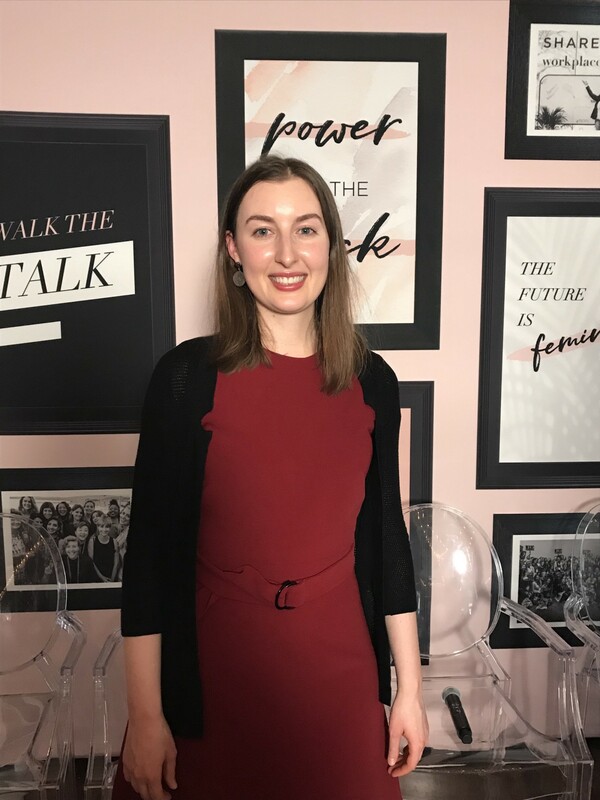 At QuantumBlack, our data scientists have access to mentors not only inside but also outside the company, through attending events such as the annual Women in Machine Learning workshop, which is co-located with the leading machine learning conference NIPS. Kusner, M. J., Loftus, J. R., Russell, C., and Silva, R. Counterfactual fairness. In Advances in Neural Information Processing Systems 30, pp. 4069–4079, 2017. Chiappa, S., Gillam, T. P. S. Path-Specific Counterfactual Fairness. arXiv:1802.08139, 2018. The Female Quotient discusses Unfinished Business: Race, Gender & Equality with members from The Atlantic. 3.30pm AI in Health Meet Up (JW MARRIOTT ROOM 209): Amanda Mander and Beverly May of GE Healthcare Digital. 3.30pm Hacking the Brain: The Power of Neuroenhancement (FAIRMONT MANCHESTER EFG): Jordan Amadio of NeuroLaunch, Henry Greely of Stanford Law School, Miriam Meckel and Léa Steinacker of WirtschaftsWoche. 5.00pm Facts, Truth, and Data Visualization (JW MARRIOTT SALON D): Scott Berinato of Harvard Business Review. We’re live reporting from SXSW! Keep an eye out for daily event guides for the best in data, machine learning and AI. We’ll be doing roundups of events we attend via Threaded Tweets and speaking to some interesting people.